this phone is top notch. it has every thing the more expansive phones boast. but at an affordable price. it has plenty of room for music, games and more.its like owning a mini lap top. i love this phone and wouldn't buy any other kind now that i have this. First, my question is - does anyone know where to get a hard, clear (crystal) case for this phone? 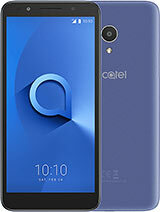 And a quick review: I've had this phone for a while and think it is a very nice phone for the money. Sure, the camera could be better and so could the screen... but look at the price for a phone that is well designed and built and nicely featured! 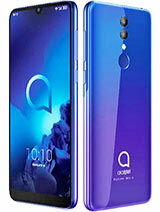 I would certainly recommend it to anyone who isn't willing to spend more than double the price of this phone. Does this have video recording??? i would recomend this phone tbh. Thank you for the nice review. I am glad you like it. i got the 621 about 2 weeks ago, replacing the virgin lobster tv phone ive had for over 2 years. the look of the phone is supreb, its solid and robust (a tumble down the stairs did not affect it at all!!). the keys took a little getting used to being raised as they are but once past that the phones operation was fine. Annoyingly the games that come with phone are not removable and a few of them are demos which you would think would be removable. 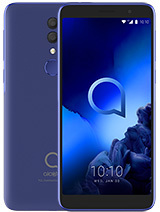 the overall operation of the phone is good, making and recieving calls is what youd expect of a phone of this type, the sound quality is about average and when in loud speaker mode its clear enough to hear assuming not too much background noise. the messaging menu is clear and easy to use, with seperate options for sms, mms and email. my one complaint about this phone is the t9 style dictionary, its not intuative and doesnt learn new words as you enter them. Instead you can manually add to a user dictionary which is a little time consuming if you use sms a lot. that aside its predictive t9 style dicitionary is pretty good and i cant fault it in that respect. the built in web browser is pretty basic and supports only basic pages, many scripts on some mobile sites generate various error messages (though surprisingly some sites will still display minus the scripts). installing opera relieved some of the errors but still as a java application its a little slow in running. this little phone can also take a micro sd memory card ( i currently have a 2 gig one in place and it works fine). its multimedia player is very basic, opting to play all tracks in your collection as a default (including your ringtones, very annoying!). but you can use playlists to get round hearing everything you put on there. There is also a built in multi alarm which will allow you to setup from 1 to 5 alarms that can repeat or be used once (ive found this to be very usefull for my shifts). all in all the phone is pretty basic, no frills and fancy bits, but it works, its less bulky in my pocket and it does everything i need it to do. MRAZ, 18 Feb 2009i want to ask about the country of made?? 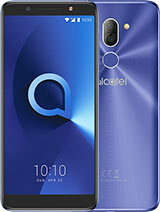 is it chaina or what All alcatel phones are manufactured in china. 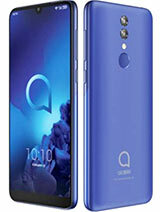 is a very good phone, i get this phone and is thin, the camera of 1.3 Megapixels do the work good but if notice should set the special color effect and set the saturation because in the defaul mode look the colors very bad in images, but the features and functions are very good. 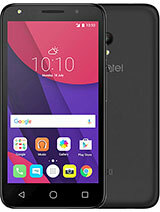 Hi i think it would be a good phone to get for your birthday i have jsut ordered one from phones 4 u and am getting it in a few days i will tell you what its like then. Looks very good for the price though as i cant afford a really expensive phone! Let me know if you get it!